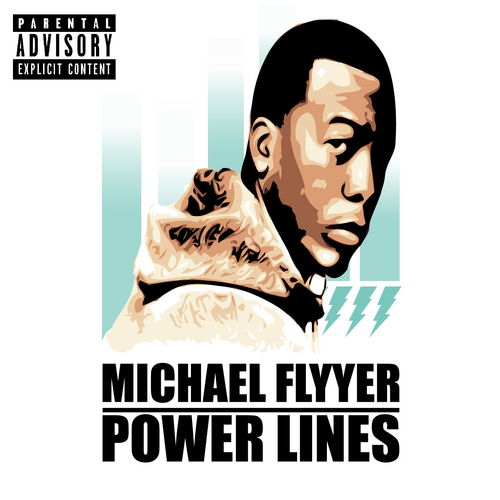 I recently received an email from a French producer named One Drop who asked me to check out this mixtape he produced entirely with Texas rapper Michael Flyyer. This is the beauty of the Internet, two dudes on opposite sides of the world able to create music together. The Paris native would send Flyyer beats, who would lay down some bars, then he'd send them back to One Drop for mixing and mastering. The result in August was the mixtape called Power Lines, filled with chilled out and head bumping beats. Yet, Flyyer keeps things entertaining with a smooth flow that matches just right to the One Drop beats. I was impressed with the results these two achieved, and they are planning on another mixtape in February/March of this upcoming year. Stream and download below.